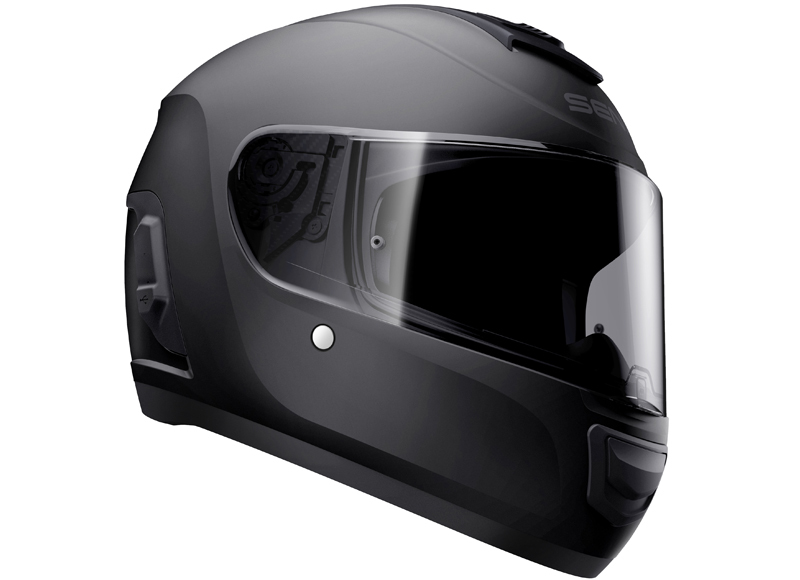 Should you buy a smart helmet for your motorbike? What are the smartest helmets, and can you buy a smart helmet now? And should you? The last time we explored the world of smart helmets in 2014, we looked at the then soon-arriving Skully and Reevu and the then-available Bike HUD and NuViz. Later we’ll discover what’s happened to some of them in the intervening years, including Bike HUD, which is no longer available. Their website and social media say work is going on behind the scenes towards the development of a new version, but it’s going slowly and the last update is from 2017. They are currently working on an Augmented Reality product for another company, and were last seen asking for product testers in the North Staffordshire/Chester area. Which smart helmet should I go for? 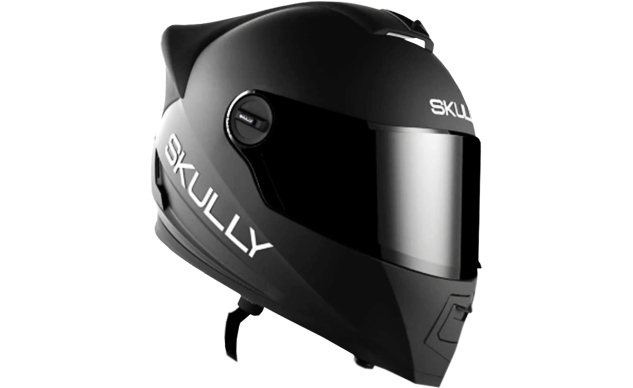 Skully originally folded in July 2016, but the assets were bought in 2017 by another manufacturer who showed off a new prototype. Reborn as the Skully Fenix AR, it promises a heads up display, rear view camera, navigation and smartphone integration. It is due to enter production over summer 2018. The most futuristic looking smart helmet, the Crosshelmet X1, is scheduled to be launching in October 2018 and can be pre-ordered for the princely sum of $1599. It has most of the same features as the Skully, but also others like noise cancellation and rather fancy LED lights, wrapped in an attractive design. 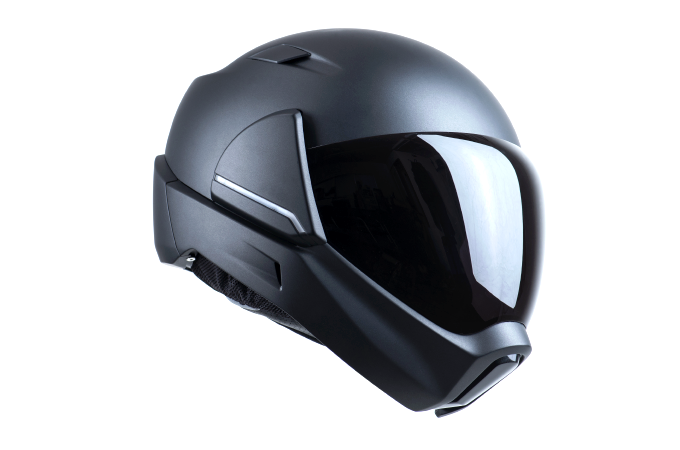 This company got its crowdfunding in March 2018, promising the world’s lightest smart helmet and at a third of the price of the Skully and the X1. 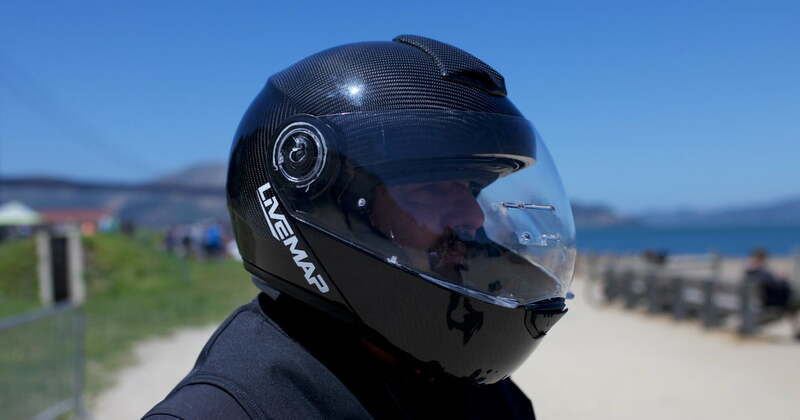 This is largely down to being the least smart of the smart helmets we’ve looked at so far, with no HUD or rear camera. It does have Bluetooth integration, crash detection and response and an SOS beacon, all wrapped up in a carbon fibre shell. They also list software upgrades as one of the features. The main selling feature for this one is the augmented reality overlay, which takes the unique route of placing the information in the centre of your field of view. The latest launch date is autumn 2018, which was the last date given according to a story generated from their appearance at CES in January. This is a project that’s been ongoing since 2013, and claims to be the inspiration for all the other smart helmets. The Sena Momentum looks pretty good. Available in three versions, the Pro throws in a camera alongside the Bluetooth, mic and speakers, voice command, intercom and even an FM radio. It’s also capable of multiple Bluetooth connections, which means you don’t have to choose whether you’re going to sync your phone or whatever other Bluetooth gadget you might also need. Sena have also recently partnered with Digilens, creators of augmented reality lenses, in order, presumably, to add that functionality to a future version. If they manage to pull that off, Sena will almost certainly consolidate their position as one of the frontrunners of the smart helmet. Rather than attempting to shove a whole lot of technology into a new helmet, adding a device to your existing helmet will definitely cut down on the expense. 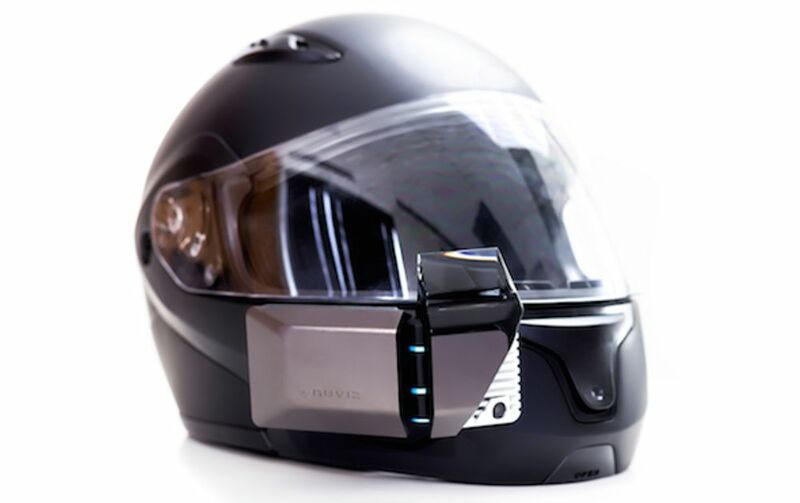 NuViz puts everything you could want in a smart helmet into a small unit which you mount on the front of your existing one. It includes a camera and HUD projector and acts as a communications and entertainment hub. It also integrates nicely with the kind of apps you’d want, like maps and GPS. If you’re thinking of purchasing a smart helmet make sure you have the right cover for this important item. Bikesure offers helmet and leather insurance for just £26 per year. So that’s the state of the art as of halfway through 2018. What do you think of our list? 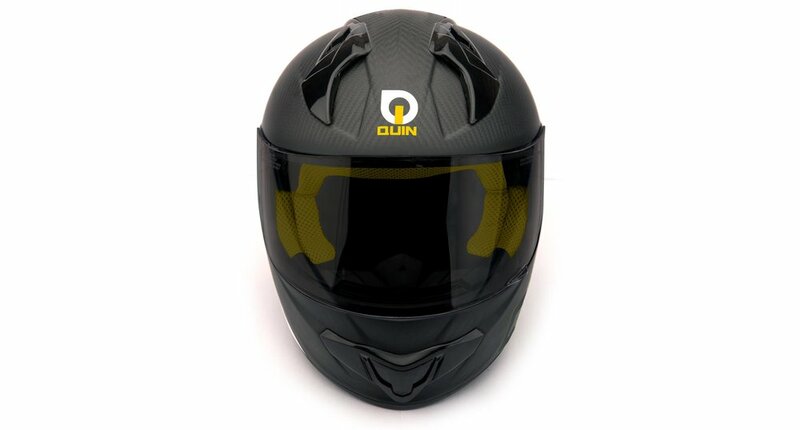 What dream features would you like for a smart helmet? Sound off in the comments below.